In 1996, my wife Kathy and I relocated to the central Shenandoah Valley of Virginia. At the Harrisonburg Farmer’s Market, we bought apples from George Merz, a local grower who raised 32 apple varieties on just over 3 acres and pressed an exceptionally sweet cider. George’s apples came in all sizes, shapes, colors, textures, and flavors. Some of his varieties were heirlooms; others were relatively new. Very few resembled the iconic western Red Delicious of my youth. By discovering and tasting local apples, I began to realize that apples are—or have been—just about everywhere in Virginia. While George’s compact orchard thrived to the west of Harrisonburg, the Tip-Top Fruit Farm’s vine-covered remnants languished between new suburban homes just east of town. Blocks of well-tended commercial orchard are still visible from interstate 81 in Shenandoah County, and farther north Mt. Jackson’s water tower is a huge, shiny trompe loeil basket of red apples. At Woodstock, a Walmart, a Ford dealership, and two-story apartment complexes have largely replaced rows of apple trees where tent caterpillars are as thick as the apples once were. Each site is a reminder that apples represent an important cultural landscape legacy in Virginia. Shenandoah Valley Apples explores memories, experiences and insights related to the past, present and future of apple growing in the Shenandoah Valley and Blue Ridge regions of Virginia through photographs and interviews with apple growers and workers, representatives of apple-related businesses, and grass-roots apple historians. 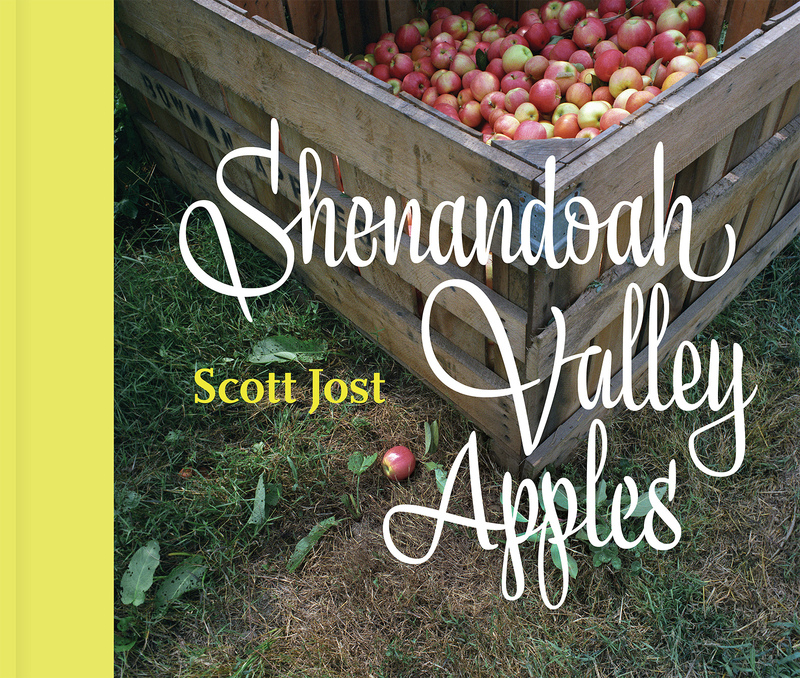 Many of the photographs and interviews in Shenandoah Valley Apples were made in Winchester and Frederick County, where Virginia’s apple industry is still most active and visible. Others were made in Albermarle, Augusta, Botetourt, Clarke, Madison, Nelson, Rockingham, Shenandoah, and Warren counties in the Shenandoah Valley and Blue Ridge region of Virginia. Perspectives include those of first- through fifth-generation apple growers as well as representatives of industry groups, associations, and related businesses, a variety of apple industry workers, and self-described apple historians. Orchards range from 9-acre roadside operations to mid-sized orchards on diversified family farms, to some of the nation’s largest commercial orchards. Photography subjects were chosen to exemplify important aspects of apple growing in Virginia. Interview participants were chosen for their involvement in, knowledge of, and concern for apple growing in Virginia. Interviews and photographs do not attempt a comprehensive documentation of Virginia apples. Rather, in approaching the fieldwork, I photographed and interviewed until convinced I had reached an understanding of the people, land, and issues involved that could be shared with others. Through my fieldwork, I came to understand that Virginia apples represent a cultural legend exemplified by relationships between people and land in the context of an economy that has always been regional, national, and international in nature. Shenandoah Valley Apples also describes a unique present in which economic pressures, international trade, and encroaching development are changing those people and that land with unprecedented severity and speed. Between 1977 and 2005, apple acreage in Virginia decreased by more than half and 65 percent of all growers left the business. At the same time, stories of adaptation, perseverance, and success are also part of the picture. 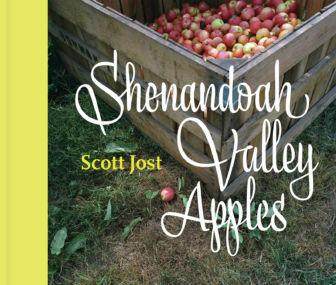 This book primarily embodies the perspective of apple growers—those who own the land they farm. To a great extent, land ownership determines land-use and stewardship practices. Yet changes in the economy and society change the people who own that land, in turn affecting the land and its health. A project of this nature, therefore, represents an interpretive act. While I personally favor efforts to preserve family farms, agricultural land, and a healthy ecology, I wish to honor the integrity of those stories as told to me. I hope Shenandoah Valley Apples will help preserve the legacy of one of Virginia’s most important and rapidly disappearing cultural landscapes, raise awareness of and concern for apple growing in Virginia, and in the process draw our attention toward broader social, economic, and environmental change issues affecting agriculture and land use everywhere that are exemplified by apple growing. I wish to affirm experiences with and efforts on behalf of apple growing for people who participated in the project, and recognize the wisdom, insights, and examples these people may offer to others.